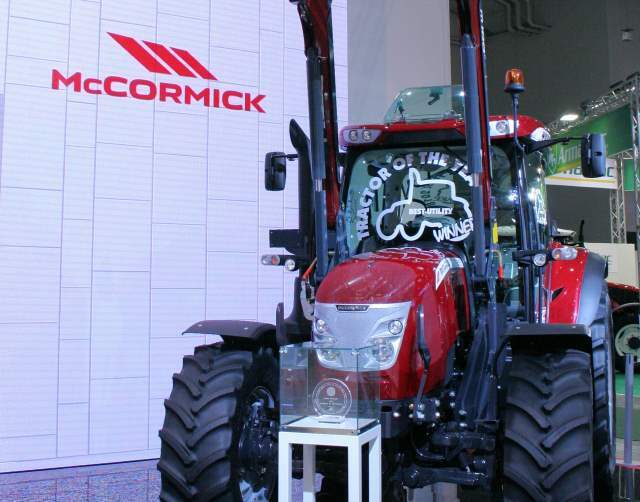 McCormick tractors – X6.440 VT-Drive wins award. McCormick X6.440 VT-Drive wins award for the practical application of new technology. The practical application of new technology in the form of a continuously variable transmission has been recognised by a prestigious Tractor of the Year the award. Presented at the Agritechnica international machinery show in Germany last week, the finalists for this much sought-after accolade are judged on paper and in the field by 24 agricultural machinery specialists from across western and central Europe. 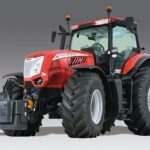 Out of five short-listed finalists for the award, the 130hp McCormick X6.440 VT-Drive was judged the best entry in the category covering four-cylinder multi-purpose tractors of 70hp or more. Other categories in the awards, which are supported by farm tyre manufacturer Trelleborg, cater for larger and specialist vineyard/orchard machines. Apart from the compactness, manoeuvrability and overall build integrity of the McCormick X6.4, the judges highlighted its VT-Drive system as providing the advantages and benefits of a continuously variable transmission in a size of tractor commonly used on mixed enterprise farms, by dairy and other livestock farmers, and in horticulture. 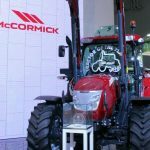 Normally, such technology is confined to more powerful arable cropping tractors; and the award is especially satisfying for McCormick engineers because the new transmission is their first attempt at such a design. Ray Spinks, sales director and general manager at AgriArgo, the UK and Ireland distributor for McCormick tractors, explains that with a conventional gearbox, speed control is regulated by the number of gears available. To drive the tractor, the operator selects forward or reverse with the shuttle, then uses either a joystick or the accelerator pedal to move off and speed up or slow down – engine revs and transmission ratio are automatically balanced by the control electronics according to the load on the tractor. When a fixed engine speed is needed to operate a pto-driven implement or a consistent ground speed is required for a particular operation, appropriate modes can be selected that instruct the control system to manage the powertrain accordingly. “Apart from providing the ground speed precision that can optimise the quality of an implement’s work or deliver extra output, a tractor with VT-Drive is very simple and also very comfortable to operate because there is less for the driver to think about,” says Ray Spinks. The Tractor of the Year judges also noted the McCormick tractor’s suitability for loader work involving repeated forwards and backwards shuttling, which can be a strain on a conventional tractor’s clutch, and the touch screen interface that can be used to set-up and select various features. 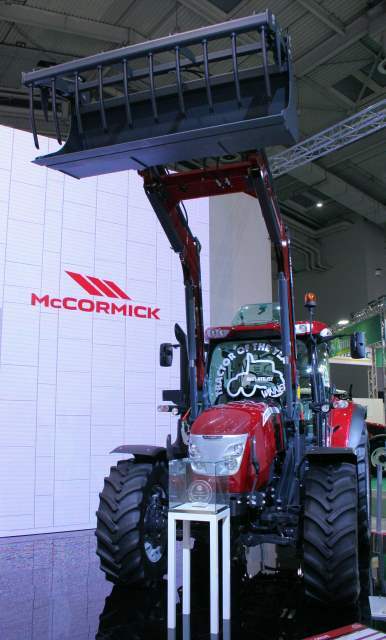 The McCormick X6.4 VT-Drive is available with three engine outputs of 111hp, 120hp and 130hp, each ‘boosting’ by 10hp for arduous pto work and transport duties. The 130/140hp X6.440 VT-Drive – winner of the Tractor of the Year 2018 award – will be displayed at the LAMMA agricultural machinery show in January 2018. The new McCormick X6.440 VT-Drive won a prestigious Tractor of the Year award at the Agritechnica international trade show in Germany. An all-new transmission design – the first developed in-house by McCormick engineers – is the main feature of the 130/140hp tractor.